Are you searching for a backpack? Perhaps, you are looking for a backpack that can be of help? There are a lot of backpacks out there so, no one can be sure that they picked the right one. Luckily we might be of help. 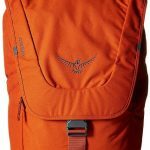 The Osprey FlapJack Backpack review will explain to you why this backpack is one of the best and high-quality items out there. We will say everything that needs to be said about this backpack, and you decide if it fits your needs. For starters, we will say a few words about the brand itself, later on, we will discuss the performance, durability, appearance and value. Furthermore, we’ll talk about everything good and bad that is used best to describe this backpack. This might be the backpack you are searching for. Anyway, you will be the judge, so let’s start. Osprey was founded in California in 1974. The mind full of ideas and designs behind this company is Mike Pfotenhauer. Not only that he is a founder of Osprey, he is a chief designer as well. Plainly speaking, reliable and high-quality products are seen on the highest mountains, so this company is quite capable of making a good backpack that suits climbers, hikers and mountaineers needs. One of the many things that best describe Osprey is their All Mighty Guarantee. Meaning, that their products are an items to withstand all sorts of problems, and they last a very long time. Osprey is even committing to protect the environment, as they like to say, to repair products rather than replace them. The main theme of the Flap Series is a modern feature set, clean and classic design, and a lot of things that makes this kind of backpack series high-quality. These premium bags are made with style and attractive design. Simply said, they perform good and are also considered to be a very valuable asset when it comes to a nature exploring. Gender specific design in combination with their trademark are ensuring everyone, who buys the backpack from this series, that they won‘t find anything similar. The Flap series belongs to the everyday and commute category of backpacks. So it is safe to say, that everyone should have one. This series of backpacks comes in both men and women style, so there is a little difference between those two. But don’t be misguided, both men and women Flap backpacks are quite capable of performing well. Nevertheless, all features are basically the same and all important things you need to know will be presented here. 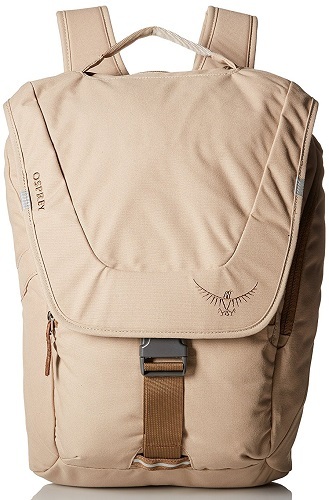 Osprey FlapJack appearance can be described as an excellence backpack. Not only, does this backpack is made with style, it also will look good when you put it on. Some people found this backpack very pretty and, they just adore it. Plainly speaking, it does have something more compared to the other models. The first thing that grabs your attention when you see this backpack is, for sure, its beauty. It does have side pockets which are considered to be quite good when it comes to storage, it also has handsome shoulder straps. Only to be more specific, FlapJack backpack comes in four type of color combination. As we go further, we will describe every one of these variations. Pure Black – If you are looking for something that can look nice in every combination with your clothing, this is perhaps the best backpack. Not only, that black color is expressing a dose of seriousness, it is also considered to be elegantly looking. Burnt Orange – This color this considered quite showy. It is good in a combination with gray or white, basically, something that can calm all this energy coming from the backpack. Plainly speaking, people will definitely check this backpack when they see it on someone’s back.In the light of this color combination, we can surely say that if you like to be in a center of attention, you should get this one. Otherwise, some other variation will suit your needs. Peat Green – People that love green color will, for sure, find this backpack amazing. Peat green FlapJack backpack is here to show you a true comforting color. Some people would say, that this color stands for a good-looking one.Mostly, when it comes to a part when you want your backpack to look more impressive than the others, this color of the backpack is for you. Anyhow, some people find it a little bit repelling, but that is up to you to decide. 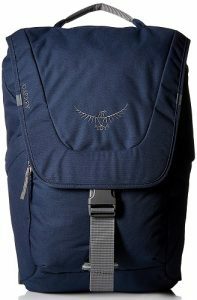 Twilight Blue – Twilight blue FlapJack backpack is considered to be quite remarkable. This color variation is for sure more elegantly looking and it can be a good choice. In addition to, this color is definitely calming and it looks great on your back, whatever you wear.Some people find it to be a little bit dull, but we can surely say that there is no mistake going for this one. Osprey also included two more colors on the women’s FlapJill version that are Dark Magenta which is obviously a purple kind of color and Desert Tan which could be your standard beige color. 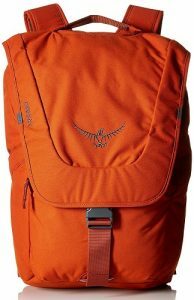 Overall rating of Design and Style of the Osprey FlapJack backpack is 5 out of 5 stars! All things considered, this rating is well deserved here, not only because of the colors to choose from but also of the overall appearance which is quite good. More of a classic approach when it comes to style, but that only makes this backpack a truly beautiful thing to have. When it comes to comfort with regards to any Osprey product it’s difficult to see any areas that they can improve on. They by and far put a lot of time and effort into their designs to make sure they are as comfortable as possible. One of the neatest things they did with this backpack is actually make it gender specific so that you can get a fit that is perfect for you. It weighs almost nothing when you put it on at a measly two pounds and is capable of holding a decent sized amount at 21 liters capacity. It is almost identical to the men’s version but just slightly smaller. It too is capable of holding 21 liters of gear and comes in around two pounds as well. There is very slight mesh padding on the shoulder straps and back but not so much that I would buy this backpack just for that reason. It would stand to reason it’s about the same as what you would find on any other regular type of casual backpack. The Overall Rating of Comfort for the Osprey FlapJack is 4 out of 5 stars. I’m glad to see they decided to make multiple versions of it for different genders but I do wish they would have added some more “extras” in terms of comfort. When we are talking about durability, one thing stands out, that is the material used to make this backpack. FlapJack backpack is made out of 600D poly spun. Poly spun, or as some people call it spun polyester is considered to be the favorite material when it comes to making a backpack. Plainly speaking, this material is known to have a great washing ability, it does not shrink, and it just feels good. 600D poly spun material is quite strong. That is why it is a first pick when it comes to the high-quality backpack. FlapJack backpack is made to withstand all sorts of complication, that’s why the durability of this backpack is quite remarkable. 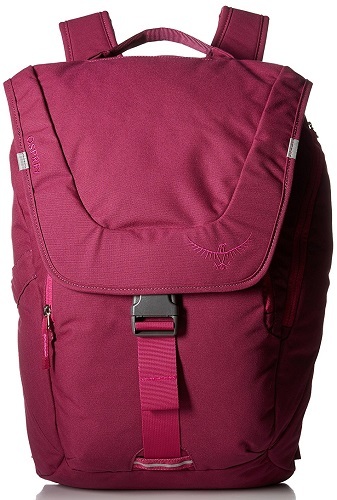 Furthermore, the comfort of this enjoyable backpack is also based on 600D polyester. Shoulder straps are quite strong and when you put this backpack on, you won’t feel a thing. If you’ve ever read any of our other reviews on Osprey products you will also know that we are in love with their guarantee. Their products come with the “All Mighty Guarantee” which is a lifetime warranty on your product, how sweet is that?! The Overall Rating of Durability for the Osprey FlapJack backpack is 5 out of 5 stars! The FlapJack backpack is quite remarkable, this backpack is considered to be very strong and reliable when it comes to durability. Osprey FlapJack backpack does have a lot of great features. Many of these features are considered quite important when it comes to quality. This is the key features of this an amazing backpack. 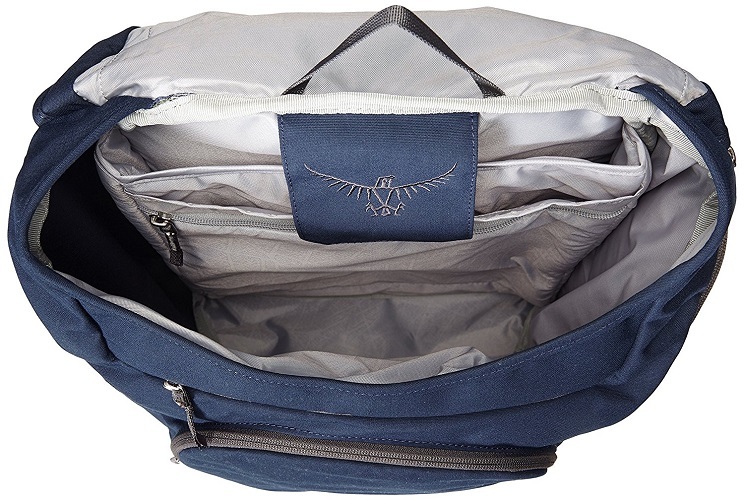 Volume – FlapJack backpack is considered to have a perfect size, it is build to withhold 21L. Imagine how much things and stuff can u put in this backpack. Padded laptop sleeve – There is a spacious laptop padded sleeve that is capable of holding and protecting your machine while still being able to provide an easy storage. LED light attachment point – Being seen during a night walk is number one priority here. That is why this backpack comes with LED bike light, only to make sure you stay safe and easily noticeable. Flap access with clip closure – There is also an easy and secure buckle with a velcro access on the top of FlapJack backpack, so all your stuff won’t fall out. Removable webbing hip belt – This feature of FlapJack backpack is quite helpful if you find yourself in need to carry something while you are on the bike, webbing hip belt is also removable. Internal key attachment clip – This high-quality backpack is made with well-organized pockets, as well as an internal key attachment clip to help you open and close faster. You must see this amazing backpack in action, so you can know how well can it perform. 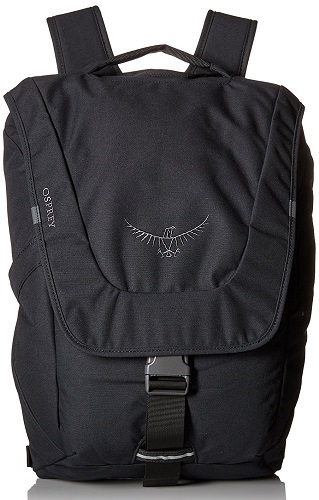 Osprey FlapJack backpack is made for an everyday use and commute kind of person. This does not mean that it won’t do okay on any other field, we are just saying that it excels in a everyday, casual sort of usage. 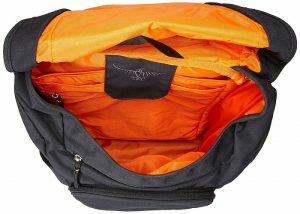 Lots of travelers are faced with a problem of finding a good backpack, however, Osprey FlapJack is great to travel with. You can put all sorts of things in this backpack, books, laptop, clothes, shoes and even food. The best thing about it is, that you will not have to worry about storage and organization of the things you bring with you on a trip. For those who love long walks or a casual stroll in the park, this backpack can be helpful to have. There is nothing better than having a reliable backpack on your side when you decide to go out. 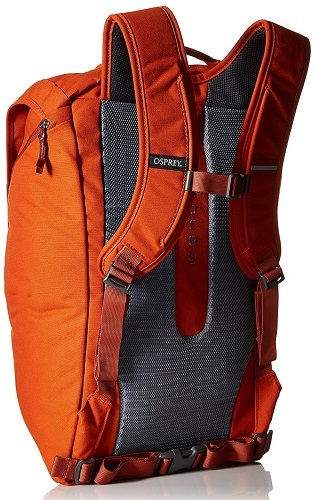 The Overall Rating of Features for the Osprey FlapJack backpack is 5 out of 5 stars! 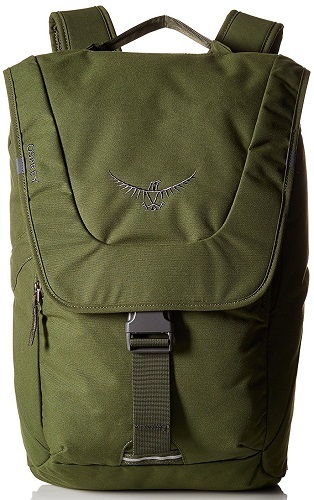 Osprey FlapJack backpack is truly a remarkable choice. As seen before, all these features are only adding to value and quality of this backpack. When we are talking about the value of this high-quality backpack, it is quite important to say that it is quite remarkable. It would be wrong to measure a value of this backpack based only on the price. After all, Osprey FlapJack is not so cheap, but certainly beneficial. Furthermore, we conclude that the price belongs to the ‘’expensive’’ price point category, but it doesn’t cost a fortune. If you don’t mind spending a few more bucks on a backpack, this truly great item can be yours. There are some cheaper backpacks, but they will not give all these amazing things that FlapJack can provide. Osprey FlapJack backpack is good for a lot of things, you can use it for traveling or you can bring it with you when you go to school or university. This backpack, however, is not that great when it comes to hiking or climbing, it is made for simpler things. This truly remarkable backpack is definitely worth every penny spent on it. Not only does it excel in lots of fields, like durability or style, it is also considered to be one of the high-quality backpacks. Styles – The different colors to choose from for both the men and women’s version are very attractive. Durable – The materials they used to make these backpacks are of the best quality and this backpack should last you for years to come. Laptop Sleeve – The padded laptop sleeve is always a welcomed addition to any backpack. External Attachment Points – The external attachment point for reflectors is great for keeping you safe on a dark road at night. Warranty – The All Mighty Guarantee Lifetime Warranty is a great way to ensure you’re backpack will continue to serve you for many years to come. Padding – This is of minor concern as you most likely won’t be wearing this backpack for long periods of time but more padding on the straps and back would have been nice. Price – The price is a little steep for an everyday casual use backpack. Altogether, Osprey FlapJack backpack is quite durable and excels in performance better than the other backpacks. When it comes to picking a backpack that can help you travel easier, or make your everyday routes more enjoyable, this high-quality backpack is the one. With all these features that are, without question, improving and contributing to the value and quality of Osprey FlapJack backpack, there is not a thing to worry about. It is quite practical and possibly one of the best backpacks out there. After all, Osprey is a company that doesn’t joke when it comes to quality and value. Not only that it looks stylish and elegant, it holds pretty good value for the cash. As we already said, you might want to consider a different model, if you don’t want to play a little bit more cash. 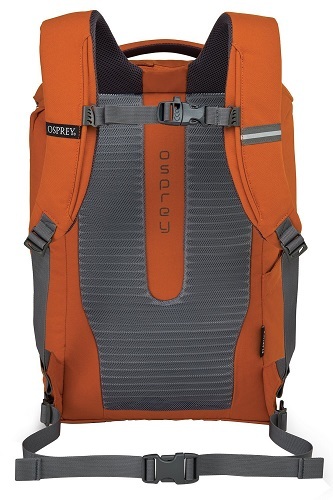 Osprey FlapJack backpack is placed very high on a ladder of quality, you simply will not go wrong with this one. The Overall Rating for the Osprey FlapJack and FlapJill backpacks are 4.5 out of 5 stars!